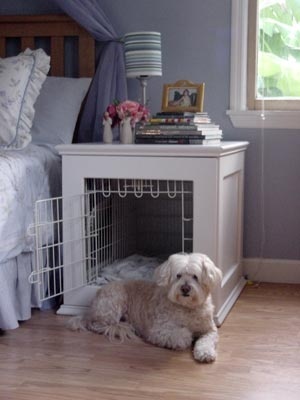 How to tastefully put a dog kennel in your bedroom. 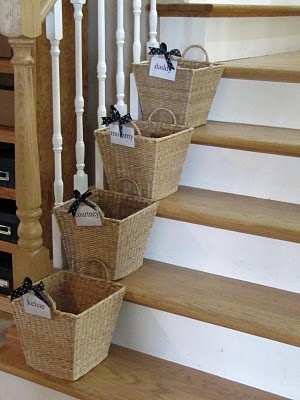 Have a laundry basket for guests in the guest linen closet. 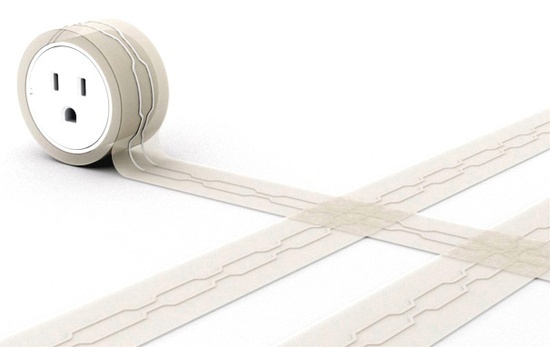 No more awkward wandering around the house trying to find the laundry room. 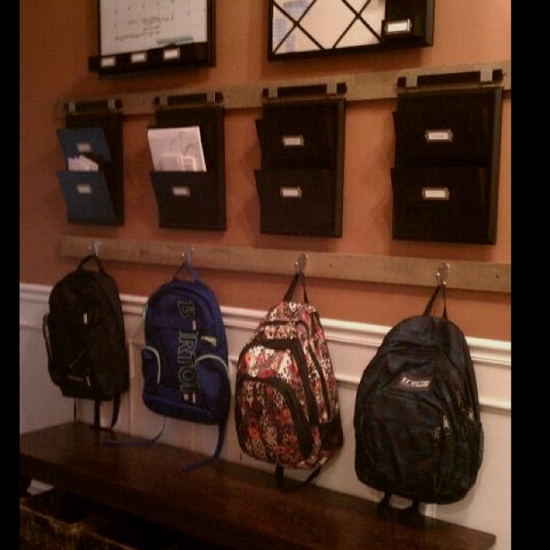 If you’re like me, you love planning out about a week’s worth of outfits and this corner rod makes that very easy and it a great use of space! 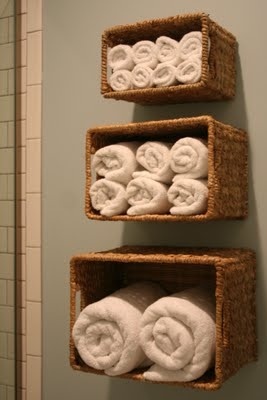 Three aggregated, mounted nesting baskets for towels, hand towels, and wash cloths. 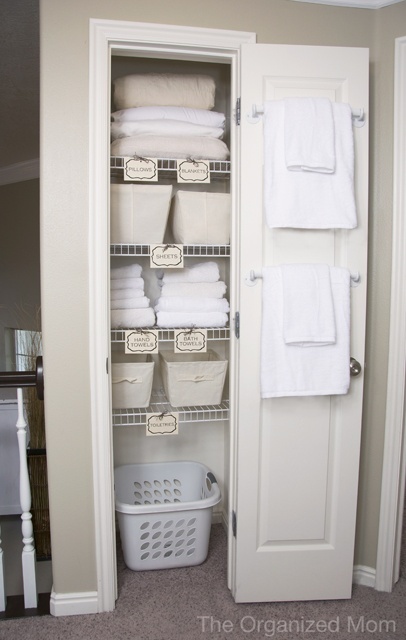 Use a wine rack for wash cloths.